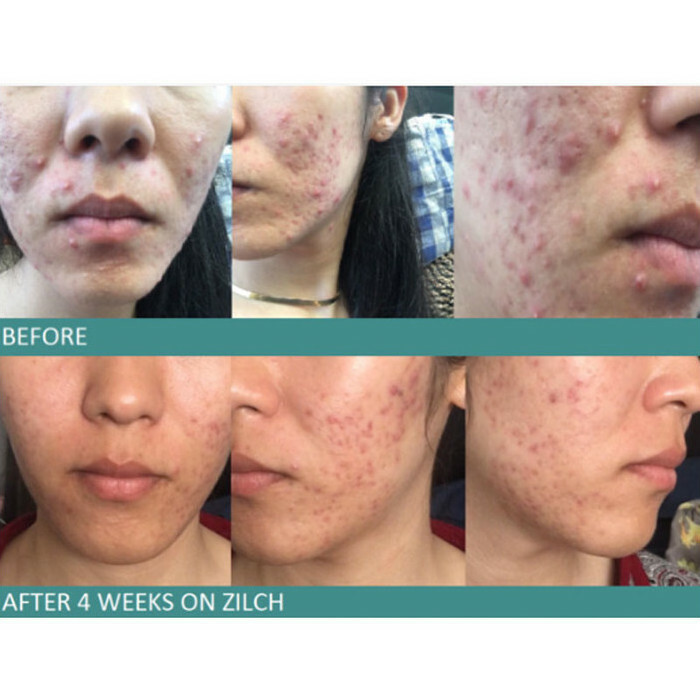 This Acne Formula from Zilch is an all natural Chinese Medicine based formula, in herbal tablet form, designed by Dr. Vivian Tam. 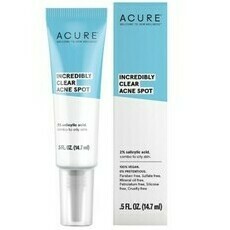 Zilch may assist in the management of mild to moderate acne. Ingredients in this formula have been traditionally used to clear toxicity and heat, reduce inflammation and improve blood circulation. Zilch Acne Formula is 100% natural, and is made up of over 17 Chinese Herbal ingredients. 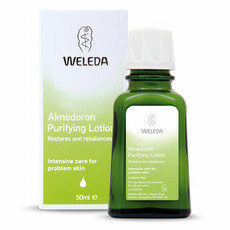 None of the ingredients are synthesised, they are pure extracts from the raw herb. 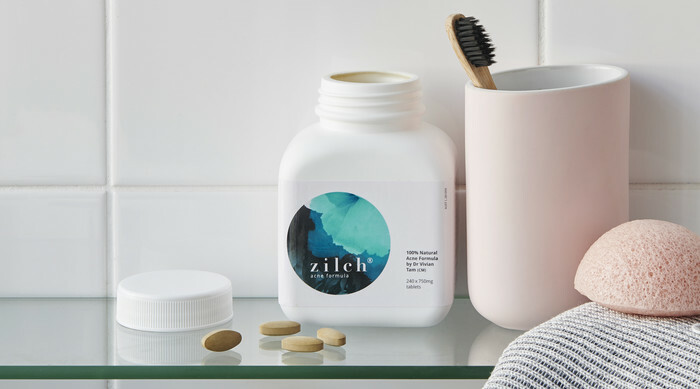 - Zilch may address inflammation and toxin build-up and encourage the breakdown of stagnation of blockages through promoting blood circulation, but users may have other patterns in the body that need addressing, e.g. gut health or severe hormonal imbalances. - External skin health - not using the right skin care, makeup, etc. - Dosage may not be correct - recommended daily dose is 4 tablets twice daily for more severe acne, 3 tablets twice daily for moderate and 2 tablets twice daily for milder acne. Take 4 tablets twice a day, away from food. Allow at least 20 minutes either side of eating. Was keen to give it a go and happy I did. 2 courses and it helped significantly! Also changing my duet and switching to alkaline water has helped. But this formula is amazing. Nothing else like it. 2 Courses did the job! After having kids and turning 30 I was seriously starting to wonder if I'd ever have clear skin again. I mostly had acne on and around my jawline, but it was persistent and it never fully healed before the next batch arrived. 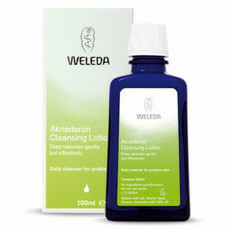 I tried so many cleansers and eliminated various foods, but never really had any dramatic, nor lasting results. 4 months ago I decided to try zilch after seeing so many wonderful reviews. Wow! After a week I noticed a difference and it kept getting better! I finished the bottle after about 2 months and thought I'd see what would happen. I still have clear skin another 2 months on. I am so grateful! If you're considering this as an option, I'd highly recommend giving it a shot. Find out more about the Zilch brand.